As an immensely powerful tool and an online platform with high influx of visitors, social media allows people and businesses all over the world to connect with each other instantaneously. The extreme visibility might sometimes be a drawback when anything you say can and will be used against you by a sneaky rival party. It might seem like a downside, but building a set of social media guidelines can promise positive results in the end; saving your PR team from facing undeserved humiliation and backlash. You can also try educating your employees on new and better strategies for using social networking websites. However, before developing a set of rules and setting educational workshops, it is essential to have a basic idea of how social media must not be used for business branding. For your convenience, the following article mentions a list of 8 major downsides. Being able to communicate efficiently with your target audience is the first target for a business marketing campaign. People or your target market needs to have a sense of who is doing ‘all that talking’ in order to develop a connection with your brand. With that being said, you probably don’t want to find yourself without a sense of what’s coming next. In the case of responding to controversy, you can get into a lot of trouble if the audience feels the reply is not coming from the same person who was potentially responsible for the mayhem. Whatever you say might also go against your company’s policies. In the end, it all comes down to language and not waiting till the facts have been re-established. It might become too late for you to rectify your image then. It is important to know the kind of audience you’re targeting for your product. If you think the potential client will act a certain way just because you want them to, you’re in delusion. Take the ‘public eye’ as a subject, and you can persuade a consumer to buy your product – using their consumer psychology to your advantage. It is important to fully understand how your brand is perceived because people wouldn’t engage much in a service they don't care about. Being able to figure things out with a social media expert, you’ll know your business chances of success/failures and how your target audience is constantly evolving. The principal analyst of Altimeter Group, Brian Solis, has mentioned three main pillars on which the foundation of social media marketing stands: listen, learn and engage. A recent trend has shown that people usually try out brands that have a diverse and extremely responsive social media feed. However, social media is not enough. If you want loyal customers that can add value to your small business, opt for other marketing and optimization techniques apart from social media. The sole purpose of your social media accounts should be listening to client requests, concerns and using that knowledge to improve your services. Organic sales and likes will follow naturally. Somewhere down the road, companies start pushing agendas/content that has nothing to do with their product/service. For instance, a fast food restaurant has little to no connection with police violence in a country so why would a restaurant want to share irrelevant, social-specific content to promote their services? This is also known as a ‘hot button issue’. Avoid it. It is much riskier for your brand than beneficial and could push the wrong ‘hot buttons’ with people. It is important for businesses to engage their target audience through social media platforms. Opening yourself up to customers while nurturing social media profiles is part of the deal. You can’t ignore the public once you start posting content. As a matter of fact, ignoring audience concerns/requests is embarrassing and should be labeled as a marketing crime! It implies that you don’t care much about your devoted followers even though deep inside, you do. It is fruitless to run social media campaigns everywhere if you don’t have enough manpower to fuel your operations. 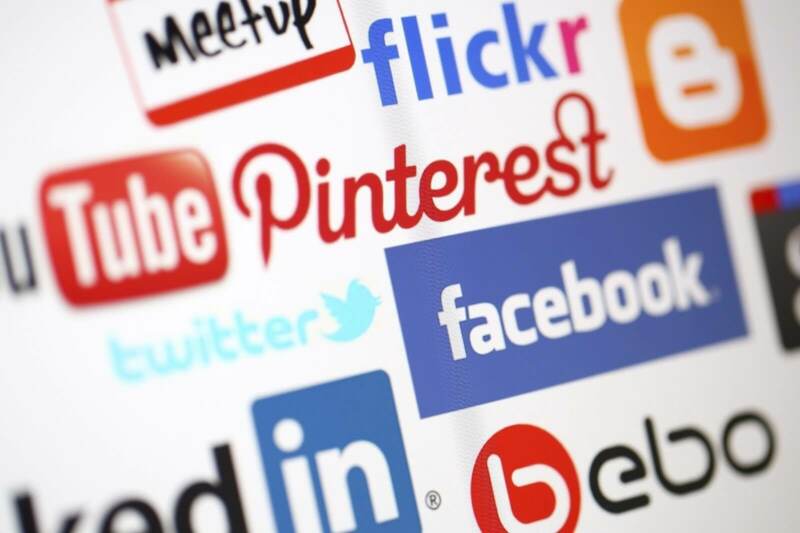 It’s better to choose from the variety of online social media outlets available and figure out what sites will be best suited to your target audience and business needs. For example, if you’re running a food company, Facebook pages would serve your marketing way better than LinkedIn. Always emphasize on quality than quantity, and as statistics prove, social sharing is more powerful than likes. An in-depth strategy evaluation is a must when you’re running promotional business campaigns almost everywhere on social media. Keep track of the CPL, CPC and CTR as measures that will objectively analyze success or failure by the number of likes, shares or retweets made by the online audience. At the end of the day, do not overlook the fact that evaluation is essential for product success. Once you fail to recognize the factors that can potentially spruce up your business, you might never be able to use them. If you’re going out with friends every weekend, telling them about the same work-sob-stories each time, what do you think will happen? You will probably run out of buddies to hang out with. Communicating effectively with other people is like a creative experiment that aims to keep the listeners/audience engaged. Having the rights for conducting business, you should build partnerships only with relevant communities to help you fully understand public dynamics. If you get stuck with a single approach to social media marketing, people might not stay interested for long and shift to other attention-seeking services. Therefore, make sure to keep tweaking your products as well as social media campaigns. Get out of the comfort zone. Staying in too long will only drag you down. It is important to take a hard look at the social media strategy you’re using to brand your product or service. Keep in mind the ‘dont's’ and make changes/additions where necessary. The kind of social media approach you pick can either make or break your business so make sure to use strategies that drive the audience engagement you need to transform them as well as your business.